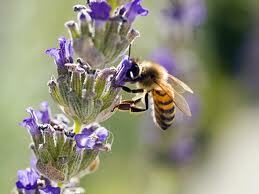 We are looking forward to the ‘Bee Improvement for All’ day, aimed at encouraging beekeepers to improve their bees! The event is being presented by Roger Patterson of the Bee Improvement and Bee Breeders Association (BIBBA) in conjunction with Pembrokeshire Beekeepers’ Association (PBKA) tomorrow (Saturday, 22nd November) at the Picton Centre, Haverfordwest. The event starts promptly at 9.30am and will finish at approximately 4.30pm. The entry fee is £10 and there are still some places available, so if you are interested please contact Paul Eades, the PBKA Apiary Manager on 07988 037571. Note that tea and coffee will be provided, but please bring your own lunch. ← Annual Honey/Presentation Lunch – Final chance to book!